What makes OfficinePanerai stand out? Officine Panerai is an Italian luxury watchmaker. The company is headquartered in Florence, instead of Switzerland, although they do manufacture there. Officine Panerai watches are widely known for the series manufactured by Rolex SA, which played an assisting role of the Decima Flottiglia MAS frogmen during the WWII. 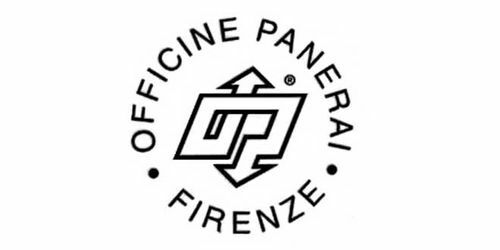 Officine Panerai was founded in Florence, Italy, in 1860, by Giovanni Panerai. 40 years later, under the command of Giovanni’s grandson, Guido, Officine Panerai became a “time” supplier of the Royal Italian Navy. They provided watches and different precision instruments. At the time, Officine Panerai watches’ cases were designed and manufactured by Rolex SA while their movements were made by Cortébert. Hans Wilsdorf himself proved integral to the production of the professional diving watches. The workshop had produced around 1600 wristwatches for the Italian Navy before ceasing production in 1970. The company moved on in 1993 into the civilian market. Ever since Richemont’s acquisition of Panerai, the firm was repositioned to manufacture luxury watches, and as such it increased both its production standards and prices. Right after Ferrari’s union with watchmaker Girard-Perregaux expired, Panerai and Ferrari entered into a 5-year agreement in 2005 to design and distribute Ferrari-inspired collections such as the “Scuderia” and the “Granturismo”. Considering the brand’s history, one could even say that Panerai’s roots are underwater. If you want to adorn your wrist like a true Italian frogman, then an Officine Panerai watch would be a great addition.